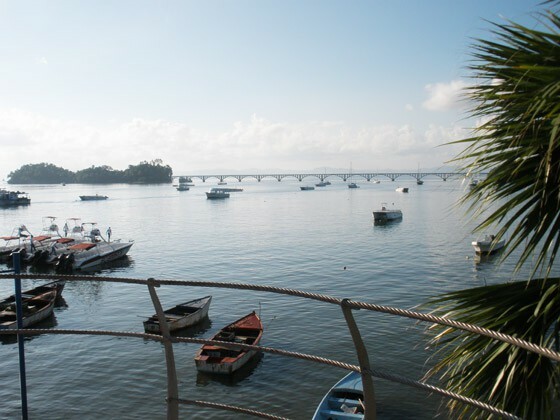 Pharmacy, Catholic Church and Protestant Church. 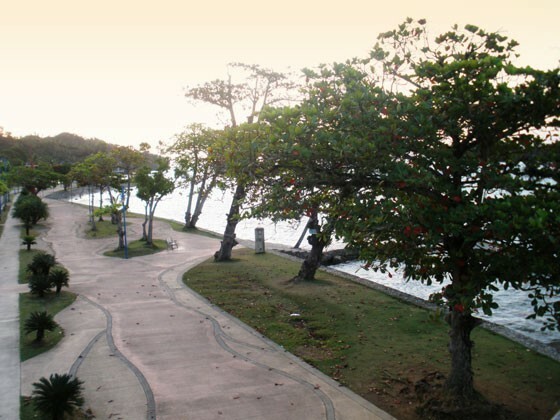 Only 10 minutes of walk will get you to the local public beach of Cayacoa. 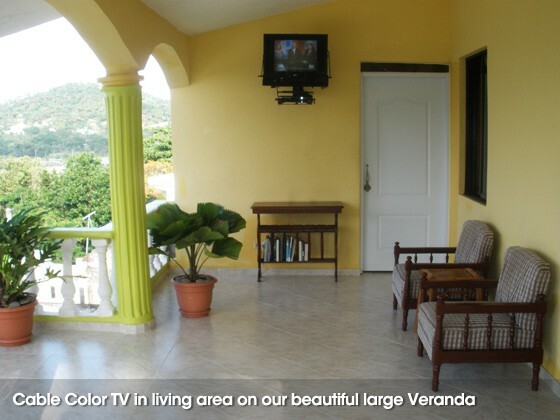 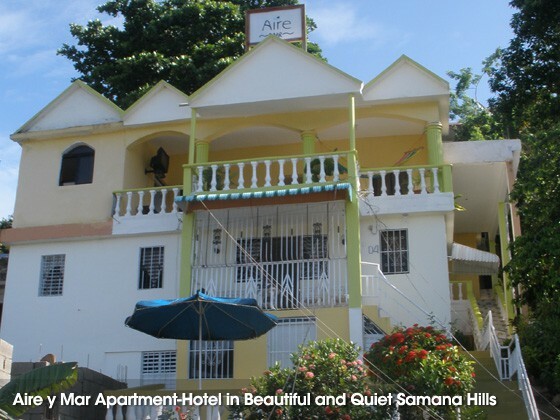 Aire y Mar offers real economical lodging in the heart of the scenic small town of Samana. 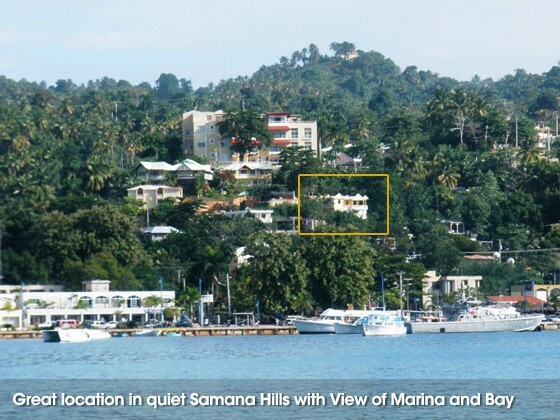 the Marina and the Bay of Samana. 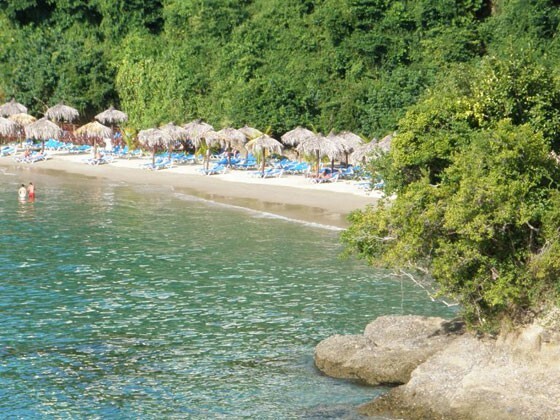 all the restaurants, the small bars, WIFI terraces, banks and shopping. 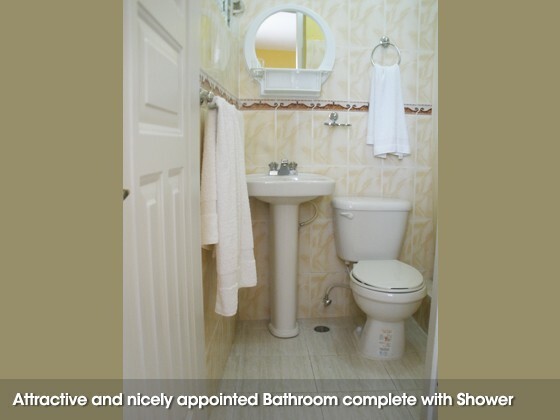 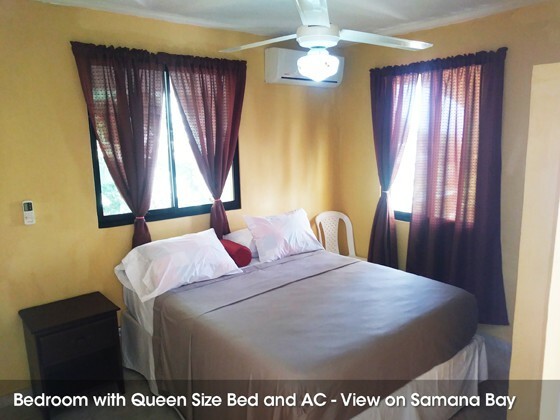 We offer you a choice of 6 NEW Rooms with Queen Size Bed, Air Conditioning and a nicely appointed private Bathroom. 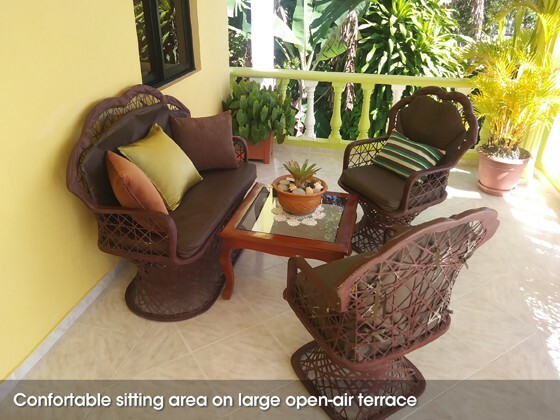 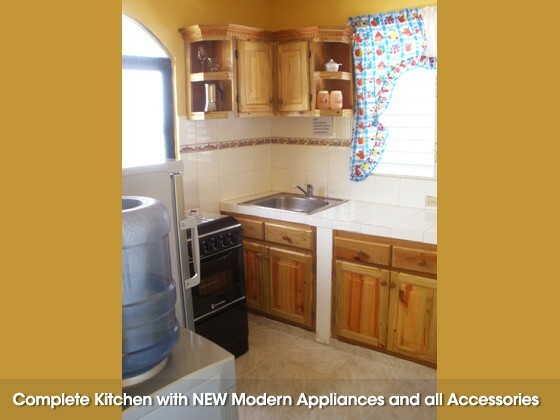 You have access to a Full Kitchen complete with all accessories, a large Veranda with eating area, living area with Cable Color TV and Free WIFI Internet. 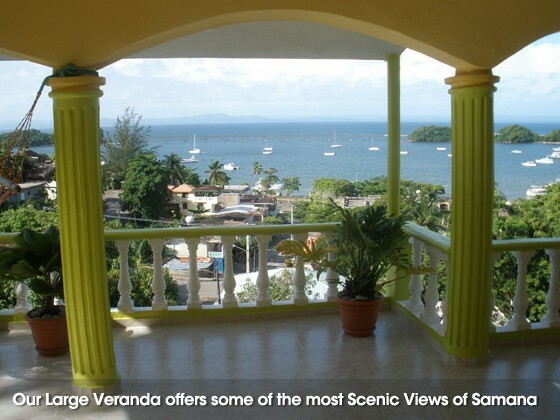 The Veranda offers some truly Spectacular Views of Samana and its famous bridges. 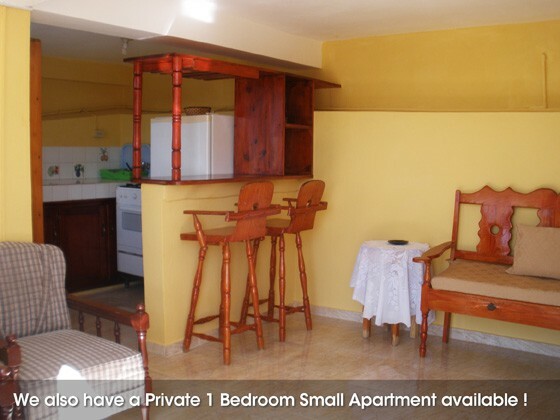 We also have one small Apartment available ! 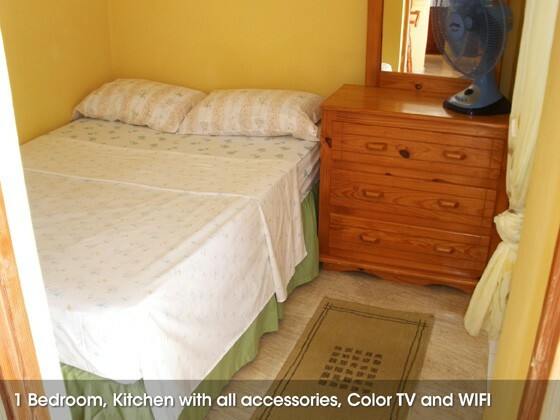 AIRE Y MAR has also one private small Apartment with one bedroom, air conditioning, full Kitchen with all accessories, double size bed and complete bathroom. 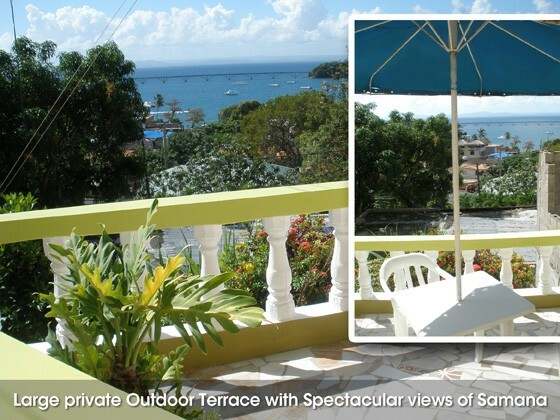 This small Apartment has a private patio with a superb view of the Marina and the Bay of Samana. 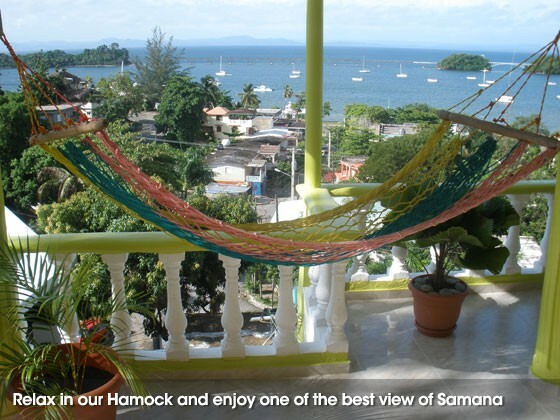 © Go Samana | Apartment Hotel Vacation Rental for Short or Long Term in the scenic Town of Samana.